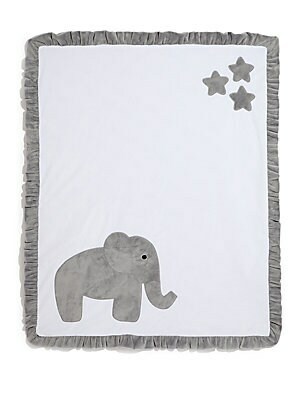 Adorable elephant print blanket with fun ruffle trim 30" x 36" Polyester Machine wash Imported. Children's Wear - Layette Apparel And Acce. Boogie Baby. Color: Yellow. 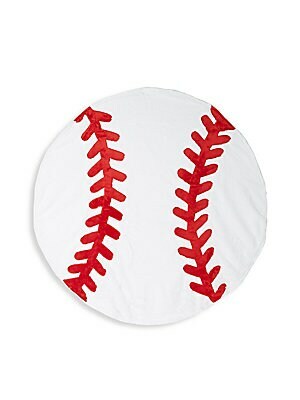 Baseball inspired blanket complete with contrast stitching Diameter, about 43" Polyester Machine wash Imported. Children's Wear - Layette Apparel And Acce. Boogie Baby. Color: White. 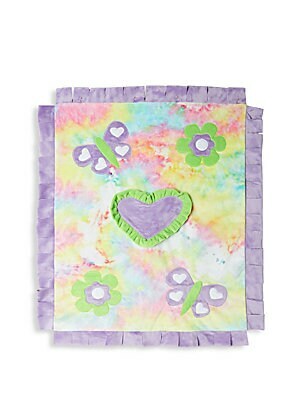 Fringe trim blanket with tie dye background and butterfly and heart patches 30" x 36" Polyester Machine wash Imported. Children's Wear - Layette Apparel And Acce. Boogie Baby. Plush, celestial motifs on a cozy blanket 30.5"W X 37"L Striped at one side Solid at back Polyester Machine wash Made in USA. Children's Wear - Layette Apparel And Acce. Boogie Baby. Color: Blue. 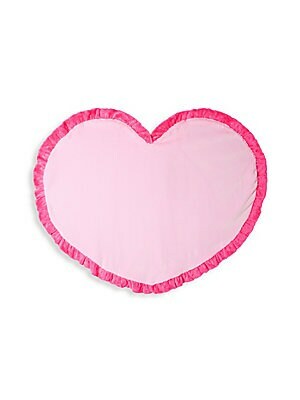 Plush heart motif blanket complete with ruffled trim Diameter, about 45" Polyester Machine wash Imported. Children's Wear - Layette Apparel And Acce. Boogie Baby. Color: Pink. 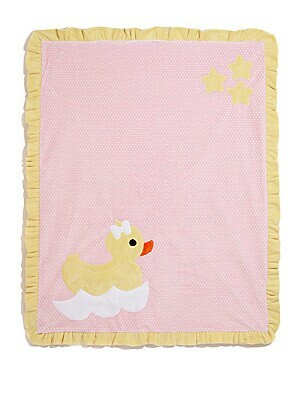 Plush ruffled blanket with cute duck motif 30"W X 36"L Microfiber Machine wash Made in USA. Children's Wear - Layette Apparel And Acce. Boogie Baby. Color: Pink Yellow. 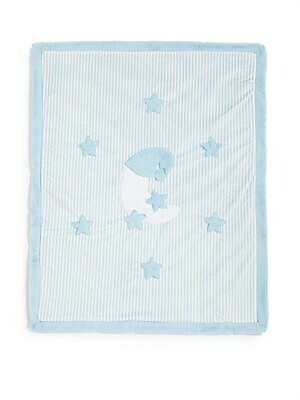 Plush ruffled blanket with duck mottif 30"W X 36"L Microfiber Machine wash Made in USA. Children's Wear - Layette Apparel And Acce. Boogie Baby. Color: Blue. 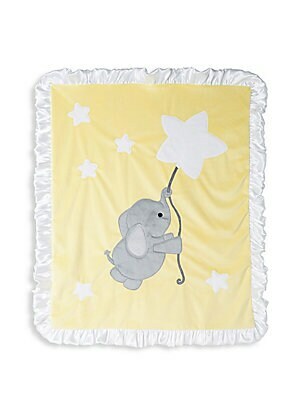 Plush ruffled blanket with elephant motif 30"W X 36"L Microfiber Machine wash Made in USA. Children's Wear - Layette Apparel And Acce. Boogie Baby. Color: White Grey. 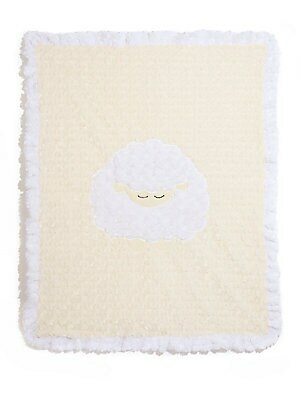 Plush ruffled blanket with sleepy lamb motif 30"W X 36"L Microfiber Machine wash Made in USA. Children's Wear - Layette Apparel And Acce. Boogie Baby. Color: Cream. 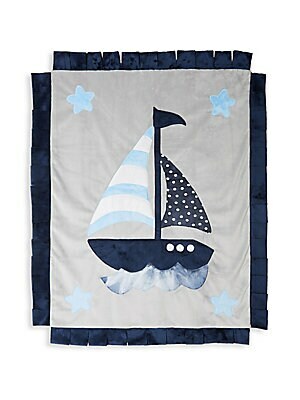 Sailboat motif blankt with a cool tie dye printed back and fringe trim 30" x 36" Polyester Machine wash Imported. Children's Wear - Layette Apparel And Acce. Boogie Baby. Color: Blue Multi.